​Mary Katherine Horony, known as "Big Nose" Kate was born in Budapest, Hungary on November 7th, 1850. The daughter of a Doctor and the eldest of seven children, Kate was very educated and fluent in Hungarian, French, Spanish and English. After her mother died, Kate ran away at the age of 15 and began to travel through several cow towns and within a few years found herself working as a "soiled dove" in a sporting house owned by Bessie Earp, the wife of James Earp, Wyatt's brother. In 1876 Kate met her on-again, off-again boyfriend Doc Holliday in Fort Griffin, Texas and shortly thereafter traveled with him to the Arizona Territory along with Wyatt Earp, who had previously dumped her. Kate told of her travels with Holliday and the Earps, including her first arrival in Prescott in 1879 after Wyatt Earp convinced her and Holliday to come with him, Jim Earp and their wives. Brother Virgil Earp already had been in Prescott for two years, serving as a sheriff's deputy. It is said that Kate was a probable witness to the 1881 "Gunfight at the O.K. Corral", overlooking the shooting from her window in Fly's Boarding house. Afterward, Doc came to their room and cried. She said it was his first shootout, unlike legend tells it. During her last days at the Pioneers' Home in Prescott, the story of the fight at the OK Corral was becoming the subject of movies. Cummings told friends she did not like the inaccuracies that the book and movie writers were laying out as fact, and she wanted to set the record straight because she was a witness to the infamous shootout. For example, she said the shootout did not take place at the OK Corral. It was down the street. 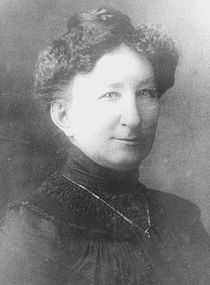 Kate and "Doc" parted ways shortly thereafter and she spent time in Colorado, marrying George Cummings before returning to Arizona in 1890. She left Cummings in 1900 and worked as a housekeeper in Cochise and Dos Cabezas, AZ. Kate settled in Prescott and in 1930 retired to the Pioneer Home where she died in 1940, just a few days shy of her 90th birthday. She is buried in Prescott under a simple marker and name of Mary K. Cummings, in the Pioneer Cemetery. Though there are no records to indicate she was ever a prostitute in Arizona, Kate herself never denied that she was a rip-roarin', hard-drinkin', gun-slingin' prostitute, living long enough to see stories of her own life and death told as a legend of the old west.